In this Waiheke Nature Pack you will find three popular products: our delicious organic Herb Spread, the organic, delicious & creamy Waiheke Honey and a bottle of our award winning Rangihoua Extra Virgin Olive Oil (EVOO). Why not treat yourself, a loved one, friend or family to a taste delight! These healthy and very yummy natural products will leave you wanting more. 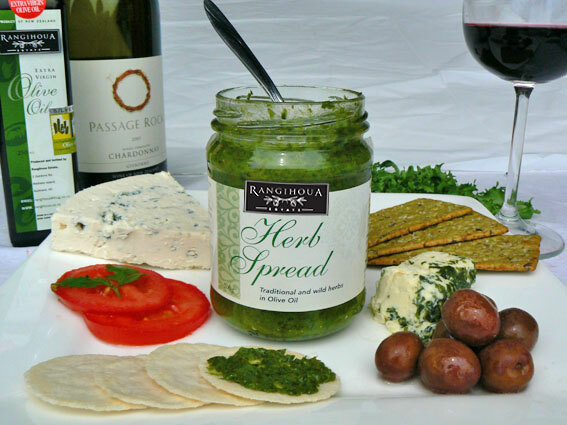 Our absolutely delicious 100% Organic Herb Spread is a unique blend of fresh herbs, carefully selected for their culinary flavours and traditional healing qualities. This product is a wonderful addition to a wide variety of everyday meals and contains many essential vitamins and minerals, anti-oxidants and fibre. This product is so popular, once you’ve tried it – you’ll be back for more! To get you started, we decided to add two jars ! Rangihoua Extra Virgin Olive Oil, Parsley, Apple Cider Vinegar, NZ Sea Salt, Garlic, Rosemary, NZ Spinach, Nasturtium, Calendula, Dandelion, Plantain, Sage, Oregano, Thyme, Lavender. No artificial colours or preservatives. 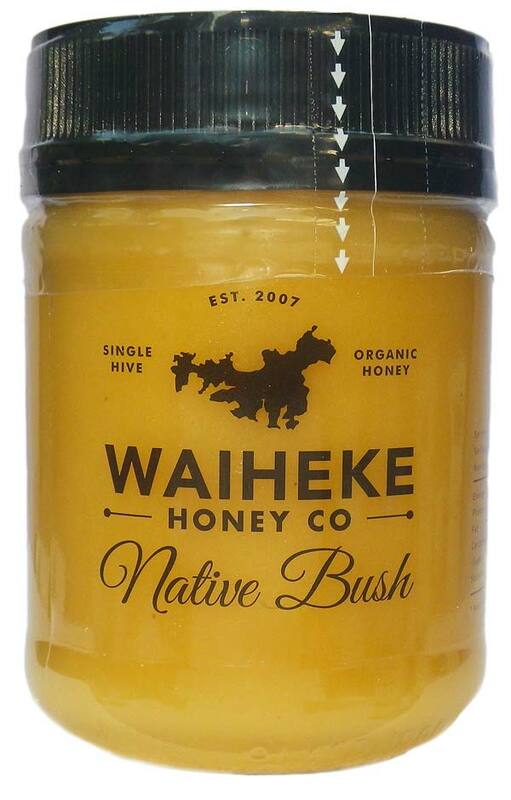 Made from beehives on Waiheke bush blocks, this buttery caramel flavoured honey is great on toast, wonderful as a gift and will delight your tastebuds! Single hive, raw, pure, organic, unpasteurised, unfiltered, unblended, honey – 100% as nature intended! 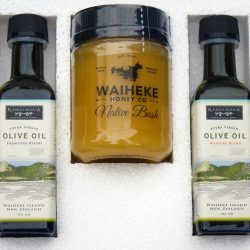 In this Double Oil and Honey Pack you will find a jar of pure Waiheke Honey and two bottles of Extra Virgin Olive Oil. Perfect as a gift to yourself, a loved one, friend or family. 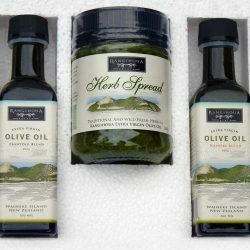 In this Herb & Oil Pack you will find 2 of our popular herb jars and 1 bottle of Extra Virgin Olive Oil. 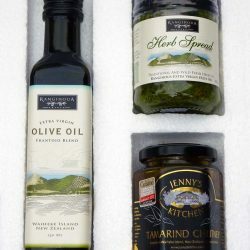 In this Taste of Waiheke Pack you will find three popular products: our delicious organic Herb Spread, the “addictive” Jenny’s Tamarind Chutney and a bottle of our award winning Rangihoua Extra Virgin Olive Oil (EVOO). Perfect as a gift to yourself, a loved one, friend or family. You might not be physically on Waiheke Island, but you can still enjoy the Taste of Waiheke! 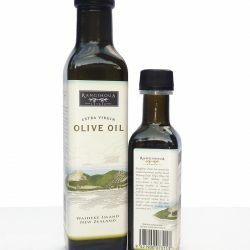 Initially, this blend was created only from the Olives grown at Stonyridge Vineyard but now cuttings from these trees have been established at Rangihoua and one other grove on Waiheke to create this most unique blend. The trees are believed to be Verdale, Mission and Ascalano. The oil has a good creamy finish and is delicious for dipping, aioli and on green beans, asparagus, mesclun salad and white meat. 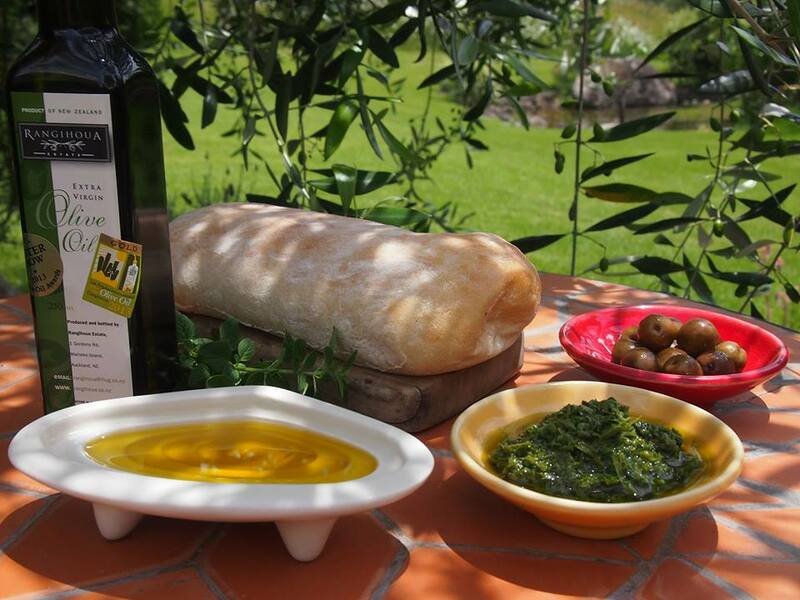 A versatile EVOO which can be used in most culinary applications. 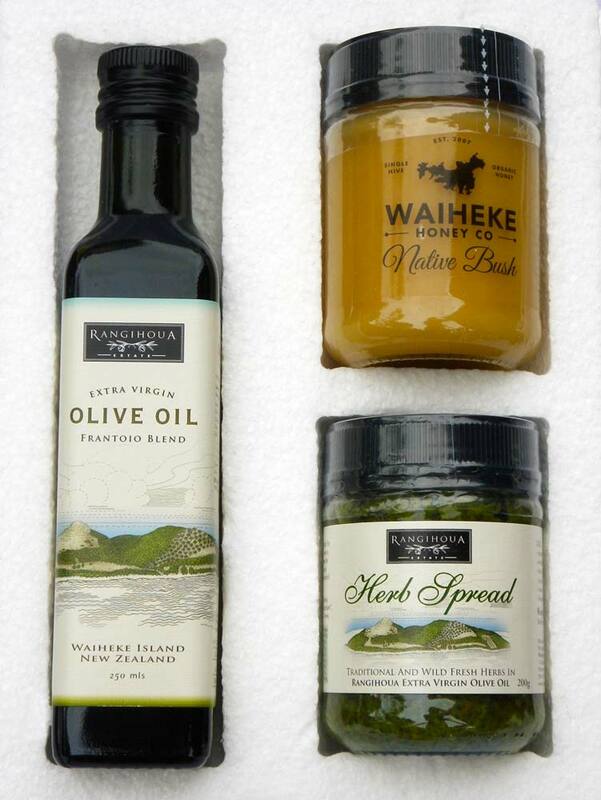 Our Waiheke Blend Extra Virgin Olive Oil is a “supreme Champion” winner in 2012 and in 2014 and 2016, voted Gold & Best In Class winner – see awards below. 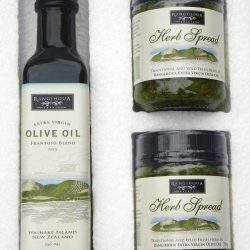 In this brand new Rangihoua GIFT PACK you will find two of our most popular olive oils and the Rangihoua Herb Spread – perfect as a gift to tease anybody’s palate ! 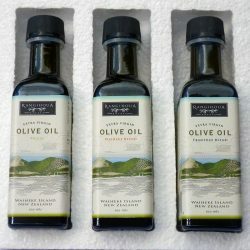 Sample all of our award winning Extra Virgin Olive Oils with this taster pack which includes three different* 100ml olive oil bottles. 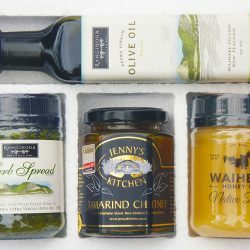 In this Waiheke Artisan Pack, you will find a choice of our popular products; herbs, honey, chutney and a bottle of Extra Virgin Olive Oil. Perfect as a gift to yourself, a loved one, friend, family or colleagues! Fantastic “Taster” of the best of Waiheke’s artisans. A blend of Frantoio and Pendolino. The aroma of this blend is freshly cut grass. It tastes initially quite creamy and nutty then changes through the middle to green capsicum with a distinctive agrugula (rocket) finish. Wonderful drizzled on Pasta, red meats and great on Greek salads and mushrooms. See the Tasting Notes below.